We’ve all got those special ways of sorting out and cataloguing our Lego collections, and hunting for new ones. Excel spreadsheets are handy, but below are 3 sites I use. These aren’t new by any means – loads of Lego fans use them, but I’m just spreading the love. Lego Ideas is where new sets are born. A design is submitted, and the product has 365 days to gather support – 10,000 supporters in fact. If this happens, the product goes for review to the Lego Review Board, who select what become new sets on shelves. If the product is approved, the creator gets 1% of the total net sales of the product, 5 complimentary copies, and credits and a bio, as well as a whole ton of street-cred! 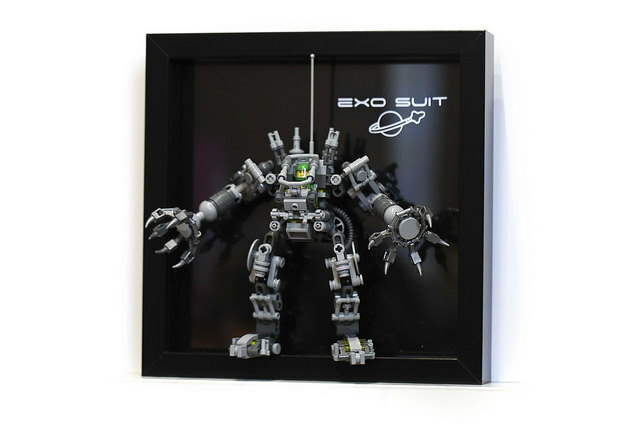 This site has seen the likes of the Exo Suit (seen above – a review will be coming for this one when I get the set! ), Ghostbusters vehicle, Back To The Future Delorean, and more hit the shelves. There are loads of great ideas on there – check it out! Brickset is the entirety of the Lego range, in one site (apart from the Lego Shop!). There is heaps of information on every set produced. Images, complete parts lists, videos, reviews, downloadable instructions, even some with 3D views. I use this site all the time to manage my collection and get information on new ones. It’s a great way of being able to note down which sets you want, you own, what state they’re in and more. The Advanced Collection Manager even has a handy spreadsheet that includes when you purchased it, and what elements of the sets you own (box, manuals, etc). Rebrickable takes the information from Brickset and figures out what other sets you can build from the bricks that you own. Not only official Lego sets, but user made MOCs (My Own Creations). It gives you a percentage of what you can build – very handy for branching out into new creations. Finally, BrickLink is the unofficial worldwide Lego Marketplace. Here you can buy and sell any Lego set, piece, minifigure or instruction book to anyone and from anyone in the world. This site also lists the extremely rare sets as well as sets not produced by Lego any more. BrickLink is a good tool to use if you are completing collections, or shopping for those hard to get sets. That’s all I’ve come up with. What other sites do you use? Leave your recommendations in the comments.